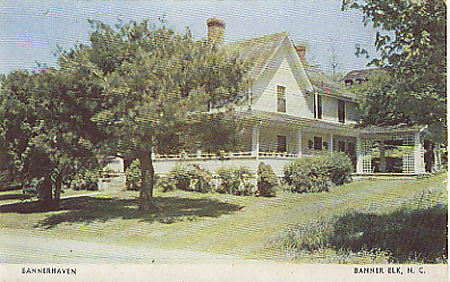 "Bannerhaven Tourist Home - Banner Elk, North Carolina - C. 195 "
(1763) POSTCARD: Bannerhaven Tourist Home - Banner Elk, North Carolina - C. 1950. -Condition: Very Good. - Has been Posted. Photo of tourist home on front. Printed description on the back. This is a Dextone Post Card. There is a hand written message on the back. Price: $3.50 + shipping.